During February half term, (or very soon after) we are anticipating our new school website will be going live. 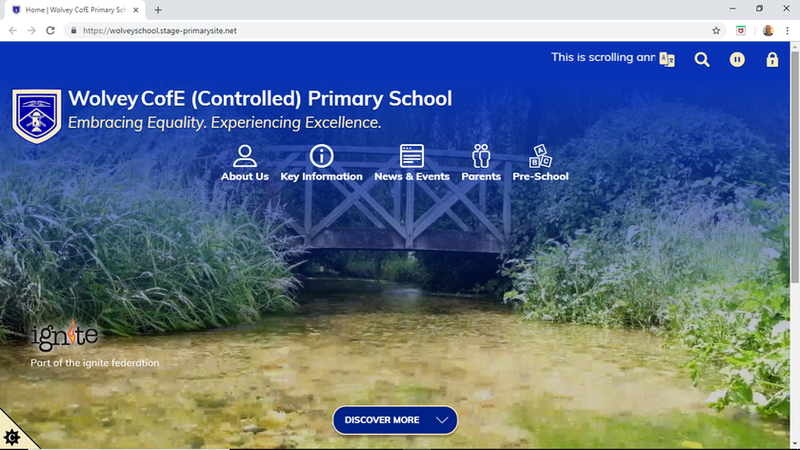 It will be exactly the same address but will have a much more corporate look and feel to reflect our professional approach towards raising standards in all aspects of school life. We have a videographer in school on Monday 11th February to take the footage for the video home page and you will then get to see the first sample of children wearing the new school uniform for that video. Look out for this and please bear with us whilst we then set about ensuring the content is completely up to date and useful for you.